THUNDER BAY, ON--(Marketwired - May 25, 2017) - Zenyatta Ventures Ltd. ("Zenyatta" or "Company") (TSX VENTURE: ZEN) (OTCQX: ZENYF) is pleased to announce that the next phase to test a concrete admixture containing graphene is progressing through their Collaboration Agreement with Larisplast Ltd. ("Larisplast"), an Israeli business that specializes in the field of concrete admixtures. 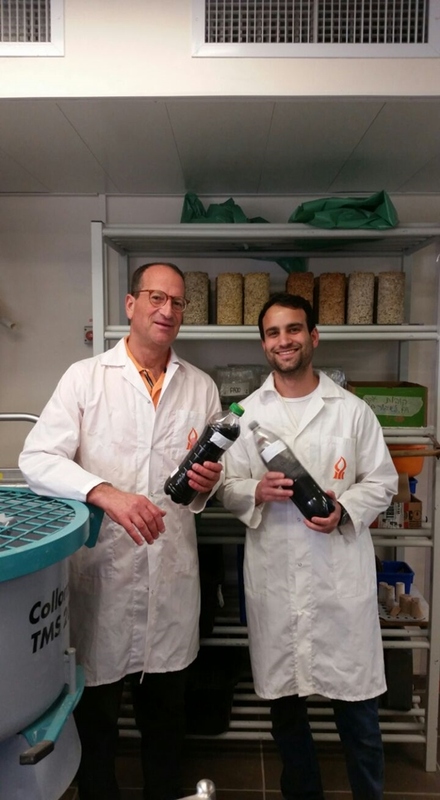 The 10 kg market sample of high-purity graphite that was sent to Ben-Gurion University of the Negev in Israel ("BGU") will allow for the testing and optimization of a much larger volume of concrete which could be in a range between 5 and 10 tonnes. Zenyatta and Larisplast have both received grant funding from the Canada-Israel Industrial R&D Foundation under the Ontario-Israel Collaboration. The main objective of this pilot plant is to further test a much larger volume of concrete utilizing an admixture containing Albany derived graphene (See attached image). The scientific and engineering data obtained will yield valuable information for potentially designing a larger scale demonstration plant. In 2016 BGU demonstrated that the addition of the Company's graphene into concrete can achieve a faster curing time and a superior mechanical performance that inhibits premature failure and tolerates large forces like those produced during earthquakes or explosions. Also, this new admixture has the potential to reduce the amount of cement that will be used in construction, thereby considerably cutting carbon dioxide emissions related to its production. Aubrey Eveleigh, President and CEO stated, "We are pleased to be in the next stage of testing to demonstrate the viability of this exciting technology to enhance concrete properties with nano-graphite derived from Zenyatta's Albany deposit. This initiative represents an important new and valuable target market for Albany graphite as the potential market size for a new concrete admixture with superior qualities is extremely large." Larisplast will adjust and optimize the scaled-up process. Larisplast is an industry leader in Israel specializing in the field of concrete admixtures. The company develops, produces, markets and distributes high-quality products and materials for the Israel concrete industry according to strict Israeli's standards. Larisplast operates on a nationwide basis in Israel and is currently developing international markets and distribution channels. Zenyatta is developing the Albany Graphite Deposit situated in northeastern Ontario, Canada. The deposit is a unique type of igneous-hosted, fluid-derived graphite mineralization contained in two large breccia pipes. The Company is seeking end users for their graphite and graphene and is working with several collaborative partners including the development of a graphene enhanced concrete. Other potential markets for graphite include Lithium-ion batteries, fuel cells and powder metallurgy. The application for graphitic material is constantly evolving due to its unique chemical, electrical and thermal properties. It maintains its stability and strength under temperatures in excess of 3,000°C and is very resistant to chemical corrosion. It is also one of the lightest of all reinforcing elements and has high natural lubricating abilities. The outlook for the global graphite market is very promising with demand growing rapidly from new applications. It is now considered one of the more strategic elements by many leading industrial nations, particularly for its growing importance in high technology manufacturing and in the emerging "green" industries such as electric vehicle components. Mr. Aubrey Eveleigh, P.Geo., Zenyatta's President and CEO, is the "Qualified Person" for the purposes of National Instrument 43-101 and has reviewed, prepared and supervised the preparation of the technical information contained in this news release.